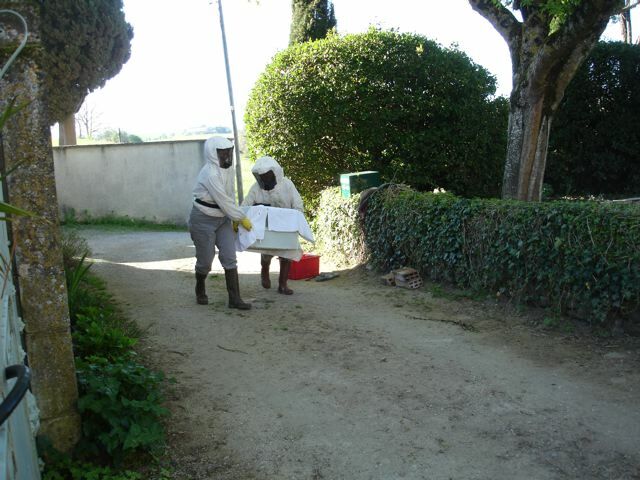 Alice–our mushroom supplier earlier this week–just arrived with a hive full of displaced bees. I’m happy to continue having my honey-free breakfast in the kitchen. 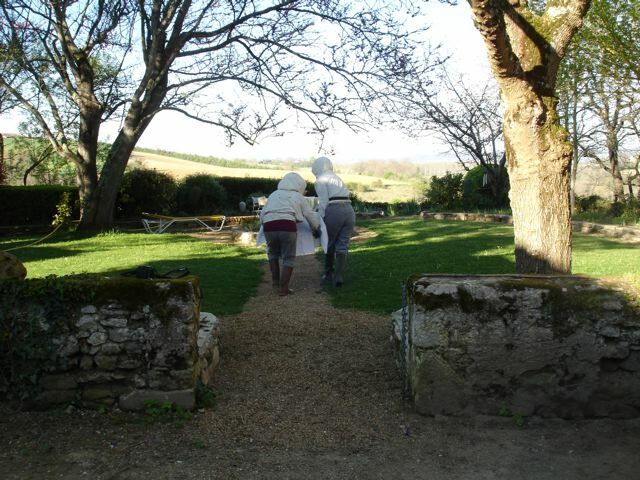 Meredith and Alice, dressed in their protective costumes, carry the box of bees out to the end of the garden. Alice seems confident they will be happy in their new setting–and she is often right about things. “Has he bought creme fraiche?” she asked. Meredith nodded in the affirmative.”Eh voila!” and left the second bag for supper last night. 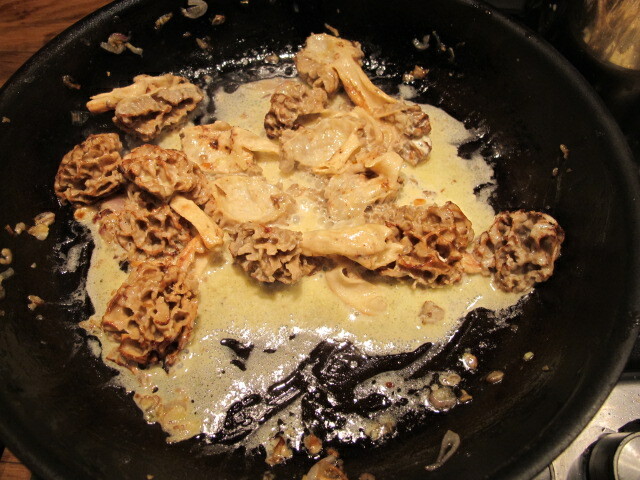 She was right–they taste good with a tablespoon of cream amd a twist of fresh ground black pepper added to the pan. She thinks the field across the road will be a rich source of nectar for them this year, with much buzzing contentment. 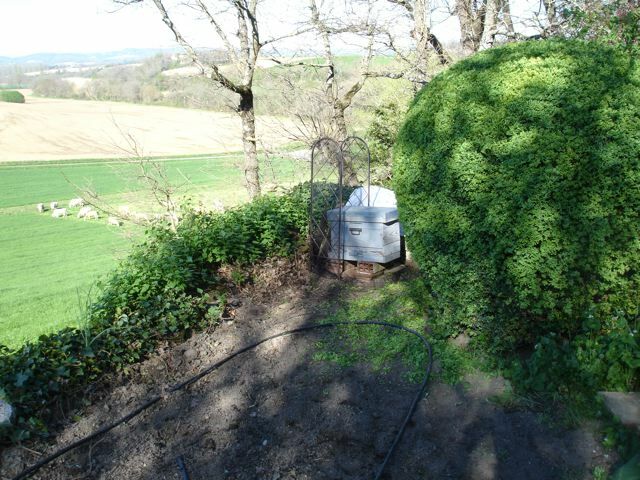 Happy bees would be better than discontented bees when I’m working in the tomato patch close by, in a month or two. Honey promoting web sites are keen to be positive about the vexed question of honey and diabetes, pointing out that it is a better option than sugar and sugar substitutes. Because honey is generally thought to be health promoting, a little everyday is a good idea–even for people with diabetes, they argue. * more than you need to know perhaps about HONEY–but useful nonetheless.